A company in Edmonton is working on technology to turn windows into transparent solar panels, with a boost from Alberta carbon tax revenues. Applied Quantum Materials’ luminescent solar concentrator absorbs UV light as it hits window glass, then uses a nanomaterial to send it to the edges, where it can be converted to electricity, Global News reports. 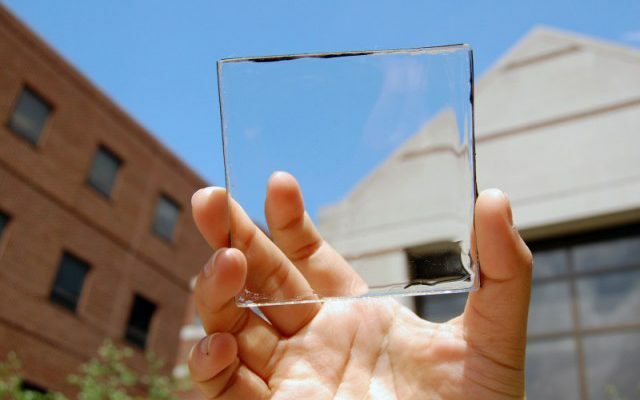 “We can apply a coating to the glass and the glass can absorb energy and it can transform that energy to solar cells which are located on the edges of the window frame,” said CEI David Antoniuk. AQM is one of six firms around the world developing similar technology, but said nanomaterials give it an advantage over the competition. With a proven concept, Global says the firm is now looking to work with bigger sheets of glass and boost the efficiency of a process that will eventually offer a two- to three-year payback on the purchase price. The project was one of 29 that received funding from the provincial Climate Change Innovation Technology Framework’s clean technology development program. Out of C$20 million in available grants, AQM received $420,000.